Moving house is undoubtedly one of the most exciting, but also one of the most stressful experiences in life. 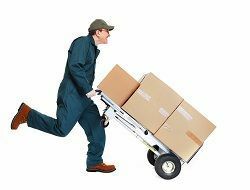 If you don’t have a van or lorry of your own, you will probably have to use a professional removals service in Charlton to get your things across. Even if you do, it is always a good idea to recruit people who have more experience in executing a move so that the damage of your belongings is reduced. If you are looking for a trustworthy removals company in Charlton, SE7 to help you with your move, you shouldn’t have to look further than Moving Service. We have been in removals business for many years now and we specialise in house and office removals in the area. Whatever your moving needs are, we are sure to have a service package for that. Do you have fragile, bulky or valuable items that need to be moved? Can’t manage the heavy-lifting alone? Are you worried that your items may be damaged in transport? Do you want some insurance and expert packing advice? Moving Service is your one stop for all moving solutions available at affordable prices. Just give us a call at 020 8746 4402. The area lies in the London Borough of Greenwich and cover the district postcode of SE7. What was once an old village of Kent, has now become a charming and affordable metropolitan district of London. It is well connected to the rest of the city with the A206 and A207 motorways lying just north and south of it. It is served by Charlton railway station. The area is also well served by London bus routes, and North Greenwich, the nearest tube station, is only a short bus ride away. Homes here are well-built, affordable and in close proximity to a number of good schools. This is an important consideration when buying property if you have kids or are planning to have one. The A2 and Blackwall Tunnel make it easy to access the M25 and plan day-outs for the kids to the beach or the countryside of Kent. The area has a magnificent view of the rolling hillside, leafy parks such as Maryon Wilson, Hornfair and Charlton Parks, good connectivity to central London and high streets with quirky but useful shops. Additionally, you get to live in a classic London ‘village’ with open spaces and an active community culture. Charlton is a great place to move to, very affordable and safe. Therefore, the move to your new home is similar as well. As a removals company in Charlton, SE7, we have the local knowledge and expertise that will help us make your move to the area smooth and simple. Our moving crew is trained in expertly handling removals and deliveries and uses the best packing materials and equipment to make sure your belongings are packed and loaded professionally. Our purpose-built vehicles are available in a variety of sizes with additional equipment such as lifts or ramps to assist the process. They are fitted with GPS trackers so that we can monitor them at all times during transition. We endeavour to assist and guide our clients at all steps of the process, so whether you need an expert assessment of the goods that you are moving or help with unpacking and reassembling, our team will be with you every step of the way. We pride ourselves in the quality of service we provide to our customers, so give us a call on 020 8746 4402 and give us an opportunity to help you. Efficient and swift moving service in Charlton. They were easy to deal with and my belongings arrived intact as promised. I recommend Moving Service.